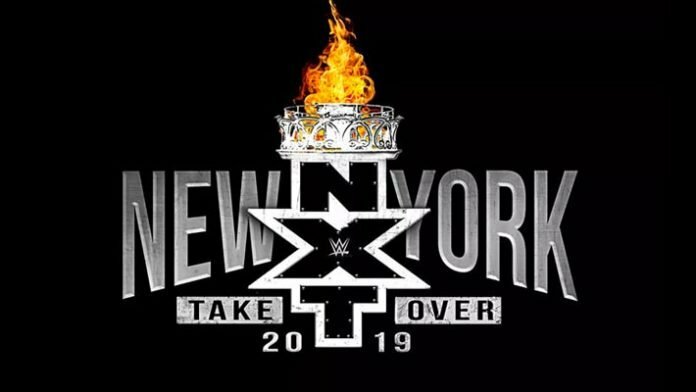 We have a possible NXT Title Match spoiler for WWE's upcoming TakeOver: New York event during WrestleMania weekend. WWE might have spoiled the result of the NXT Title match at TakeOver: New York next month. It was recently confirmed that Johnny Gargano will face Adam Cole for the vacant title in a 2 of 3 Falls match. NXT Champion Tommaso Ciampa was forced to vacate the title due to injury. Local advertisements for NXT live events in Milwaukee, Wisconsin and St. Paul, Minnesota are advertising a Champion vs. Champion match between Adam Cole and The Velveteen Dream. The events are scheduled for Saturday, April 27 and Sunday, April 28, respectively. Dream is the current NXT North American Champion. As for Cole, he is without a title as of this writing. Perhaps Cole is the man slated to leave New York with the NXT Championship on WrestleMania weekend? Cole defeated Ricochet, Aleister Black, Matt Riddle, and Dream in a Fatal Five-Way match to earn his way into the NXT Title bout at TakeOver: New York. Gargano was initially slated to face Ciampa, however, his neck injury forced those plans to change. Do you think Cole will leave TakeOver as NXT Champion?